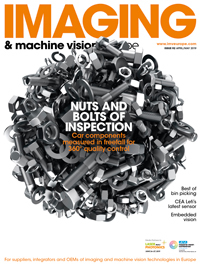 Laser welding might rely on clamping and fixturing to get a strong join, but the latest machines are incorporating advance machine vision technology to give real-time control of the process, monitor parameters, and check for defects. Camera and sensor manufacturer New Infrared Technologies (NIT) is currently taking part in an ongoing Horizon 2020 project aiming to implement cognitive capabilities into integrated vision systems, technology designed with the factories of the future in mind. Meanwhile, control technology expert Blackbird Robotersysteme will be entering a pilot phase in early 2017 for monitoring systems with integrated optical coherence tomography (OCT), which will offer new ways of searching for defects in post-weld inspections. 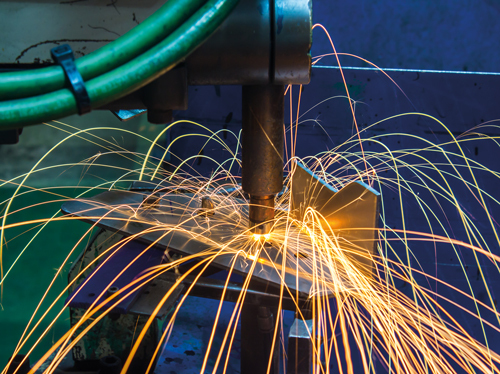 Integrating real-time monitoring and control into laser welding processes reduces welding defects and therefore the number of components that need to be scrapped during manufacture. Potential defects include the laser failing to melt or penetrate the substrate, materials not fusing, incomplete joins, and pores in the welds. Detecting defects in real time means they can be corrected early in production and the processing parameters altered to avoid them happening again. The advantages of integrated vision systems are not just exclusive to the laser-matter interaction stage of a weld process. Vision systems also exist to set up initial weld trajectories, or provide further defect detection once a weld has been completed. Post-process vision systems give feedback on the production process by inspecting finished welds for fault trends or defects. The quality assurance information lets manufacturers decide whether parts should be scrapped or processed further; inspection can greatly improve overall manufacturing efficiency, reduce test times and lessen the need to rework faulty parts. According to Musiol of Blackbird Robotersysteme, the goal of real-time integrated vision systems is to produce a high-quality weld through improving the process’s optimal boundary conditions. The systems achieve this by monitoring and adapting the weld trajectory or process parameters such as power, oscillation, frequency or amplitude in real time. Different approaches can be taken when monitoring laser welding. High speed cameras or sensors can be used to record the weld, or a set of images taken during the process and then compared to a set of references. Both options require a powerful illumination source and a band-pass filter to ensure relevant data is captured by the dynamic range of the camera. Blackbird’s Scanner Vision System (SVS) maintains the trajectory of a weld through tilting and shifting the component being processed, when the allowable tolerances in weld seam positioning are exceeded by standard clamping devices. This is done by capturing an image of the weld and comparing it to a sample image to calculate the shift in the x-y axis, as well as the rotation around the z axis. This shift is superimposed onto a welding program, which then corrects the positioning of the programmed seam. Vision systems – such as the SVS – change only the geometric parameters during welding, rather than the parameters of the weld itself. The SVS will feature in a live demonstration at Fabtech 2016 in Las Vegas, USA from 16 to 18 November, attached to Blackbird’s new 2D scan head IntelliScan FT.
A variety of solutions that alter weld parameters in real time are available. Each uses a different method to capture the relevant data about the weld but, despite their differences, each system is oriented towards the same goal: reducing the number of defects that occur in welding. Blackbird Robotersysteme’s control technology provides an interface for the monitoring systems offered by a range of companies, including the Fillet Scan solution from Lessmüller, which comprises a smart camera, an optical filter and a powerful illumination source, integrated coaxially to the weld beam. The system uses a live camera feed and real-time data analysis to record the joining processes. During welding, the system uses online seam tracking to maintain weld trajectory, and can automatically detect and correct for deviations before the process fails. Precitec’s real-time weld monitoring system also benefits from a Blackbird interface. ‘Precitec’s Laser Welding Monitor records and analyses process emissions during the weld,’ said Musiol. ‘It looks directly into the processing zone to detect defects or irregularities in the back-reflected or emitted light.’ The Laser Welding Monitor described by Musiol uses a set of detectors measuring in the UV, VIS and IR bands to provide inline information about a weld seam, detecting changes in the weld parameters or deviations in the resulting joint. The system gauges the status of a weld process by comparing the real-time data with a set of reference values concerning the plasma, metal vapour, temperature, or laser radiation of the weld. The classical approach to monitoring laser processes is to use single element detectors in multiple spectral bands; for example UV, visible or near infrared, according to Linares of NIT. ‘Our approach is to combine and integrate imagers in the short and medium wavelength infrared bands, which allows us to obtain both the temperature and dynamic information of the process area,’ he explained. NIT’s sensors are able to capture both the dynamical information and measure the temperature of a weld process in order to assess its quality. The I3 (In-line, Infrared, Imaging) LasWeld monitoring system offered by NIT features an infrared imaging camera operating at a 1kHz frame rate. It uses optimised processing algorithms to give real-time information visualisation and accurate defect detection. Together these features are integrated directly into a welding head to enable inline, real-time, on-axis inspections of a weld process. The I3LasWeld will be on display at Vision 2016 in Stuttgart, along with NIT’s uncooled mid-IR micro camera, Tachyon 1024, which also has a 1kHz frame rate suitable for monitoring laser processes. Inspection systems must be able to capture the relevant data from a weld seam in real time, despite the extreme brightness of the process area. The dynamic range of most cameras is not enough to achieve this independently, so the intensity of light from the weld must be reduced. In the case of Lessmüller’s Fillet Scan system, a high-power illumination source at around 800nm is used in combination with a small band filter to remove the unwanted light and observe the seam at only selected wavelengths. ‘When you take a picture of the actual process, you cut out all the process light from the keyhole itself,’ explained Musiol. ‘You detect more or less no light source other than your illumination; it’s very handy to see the geometry of the surfaces in your processing zone,’ he noted. NIT’s I3LasWeld system uses a slightly different approach by incorporating coated mirrors into the optical path of the incoming radiation to filter out any excess light from the weld. To ease integration into welding machines, Linares of NIT emphasised that inspection systems must be able to perform real-time data processing for closed loop feedback control, and that vision solutions must be affordable. ‘In order to have 100 per cent of welding processes [in industry] monitored, and 100 per cent of production lines controlled in real time, I think these are the main challenges to overcome,’ he said. NIT is currently participating in several Horizon 2020 projects developing multispectral solutions that combine images from different sensors in the relevant wavelength bands. The equipment can therefore assess both dynamic and temperature information during the weld. Linares added: ‘This allows real-time closed loop control [of welding]. In this case, it is also necessary that [image] processing is made in an FPGA and integrated in the observation systems in order to ensure real-time control.’ One of these projects, MAShES – Multimodal spectral control of laser processing with cognitive abilities – has been running for 18 months, with the goal of developing a compact multispectral imaging device to give real-time closed-loop control, and multimodal operation of a weld system. A cognitive system will be implemented to configure this real-time control and perform quality process diagnosis to ensure zero-failure laser-based manufacturing. Blackbird Robotersysteme is currently using a sensor system from the medical sector to further improve its weld monitoring solutions. ‘We are working on a very promising OCT technology known from ophthalmology,’ said Musiol. ‘OCT is a distance measurement system; it can always measure the distance to a certain point – the surface of a part, for example – using a measurement beam’. By integrating a second smaller scanner and a second pair of mirrors into a welding machine, it is possible to move an OCT-generated beam independently from the main mirrors of the system. Using it, the beam can be directed ahead of the main weld point to detect edges prior to processing, be directed into the keyhole to perform inline measurements during a weld, or directed to the weld seam after the process to search for defects. ‘This is a very promising technology since you can measure in all three processing zones,’ said Musiol. Blackbird’s OCT integrated system will be ready for its pilot phase in early 2017, with plans to bring the first product to market by the end of next year. Vitronic, a machine vision company based in Wiesbaden, Germany, has received a major order for weld seam inspection systems from a well-known Japanese automotive supplier. The project involves automated seam inspection of vehicle axle components. The order, which is in the millions, was for the company’s Viro WSI inspection system. The sensor records both 2D and 3D images of weld seams, which are used to classify defects and display their position and type. The results then become the basis for reworking at a later stage, enabling manufacturers to use manual or automated processes to correct the defects that have occurred. The system can set individual warning limits and inspection guidelines for welded seams, enabling early intervention in a production process. Product quality fluctuations and defects can be detected quickly, and the quality control parameters adjusted in live production. This minimises production system downtime.